A luxuriously soft and full bristle brush designed to make applying mineral foundations and bronzers a breeze, this Natio Kabuki Brush is perfect for buffing mineral make-up flawlessly onto the skin. The short compact bristles and wide dome of this Natio Kabuki Brush enable the smooth application of powder and even distribution of colour across the face. 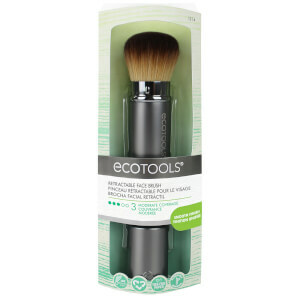 Handy and free standing, this brush eliminates mess and remains clean and protected.